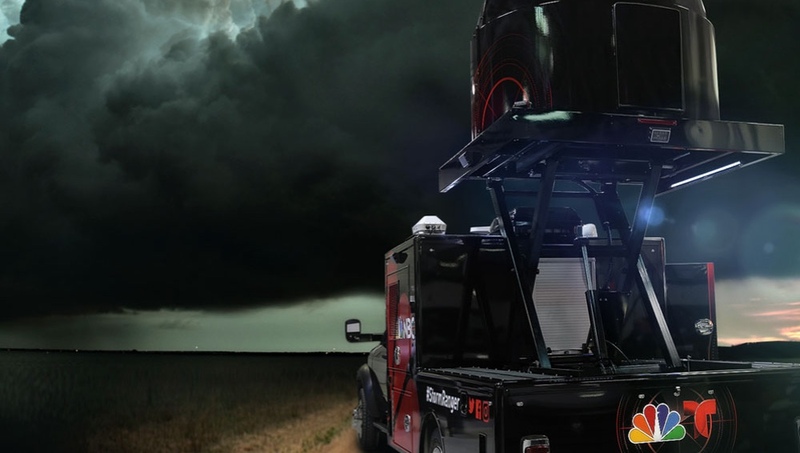 NBC Washington’s exclusive StormRanger 4 mobile radar truck is a one-of-a-kind vehicle that has a live, high-powered Doppler radar that enables StormRanger 4 to get out ahead of a storm. 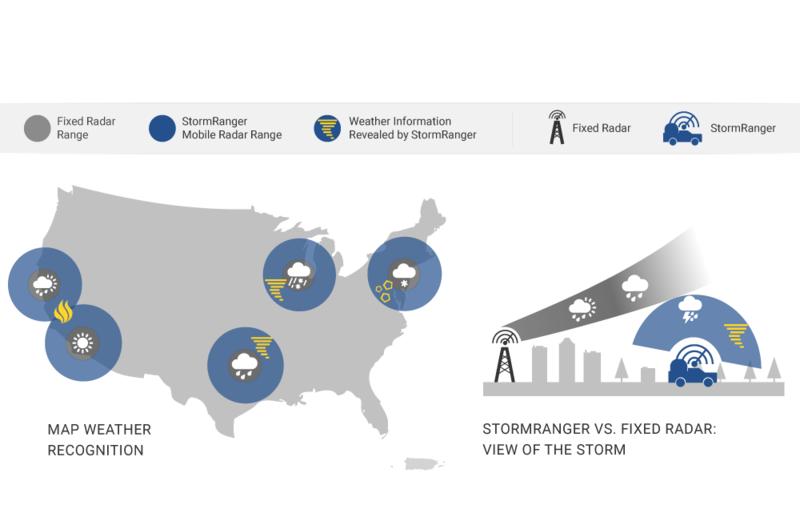 StormRanger 4 can track storms wherever they are -- with a higher degree of accuracy and with more detail than ever before. StormRanger is a Doppler Radar on wheels. It can easily move to where the storm is headed and fills in gaps left by the current fixed radar network. Location of the radar close to the ground allows us to see into the storm in a way fixed radars can’t. The shorter 100-mile range signal ensures a better pulse and better accuracy - which means a more detailed look into the gaps other radars miss. The higher resolution, dual-pol radar beam allows it to better see snow, hail, and the debris field of a tornado. From increased visibility in the heart of a storm to the ability to alert people in real time that a tornado has touched down because it can detect actual debris on the ground, StormRanger 4 is the latest addition to NBC Washington’s expanding weather arsenal designed to keep you and your family safe when severe weather strikes. "This radar technology and mobile configuration is a first for any TV station or network of stations in the U.S," said Richard Stedronsky, a meteorologist and director of strategic business development and partnerships at Enterprise Electronics Corporation. "NBC-Telemundo is the first to deploy this fleet of mobile doppler radars in the nation." So what makes the StormRanger 4 so unique in delivering you the most accurate forecast? When severe weather approaches, NBC Washington now has the ability to dispatch StormRanger 4 to wherever the storm is going to strike. Using X-band, dual-polarization Doppler radar, StormRanger 4 can provide our meteorologists with more detailed observations than any normal fixed radar can provide, giving them — and you — a hyperlocal look at the storm. StormRanger 4's radar, which has a maximum range of about 100 miles, will update about once every 60 seconds. These updates mean you'll be up-to-the-minute when tracking how and when the weather will impact you in your crucial locations such as your home and where you currently are. Our app users will receive push alerts when StormRanger 4 is activated, allowing them to get a closer -- and more accurate -- look at the weather in their neighborhoods. By driving StormRanger 4 close to actual storms, NBC Washington will be able to give a detailed look that TV stations never have been able to do before. Fixed radars may miss certain weather events due to terrain or blockages due to buildings in a downtown area. But StormRanger 4 can fill in those gaps in coverage, and in turn provide a more complete picture of what is happening now and what those immediately in the crosshairs of a severe storm can expect. What makes StormRanger so unique? 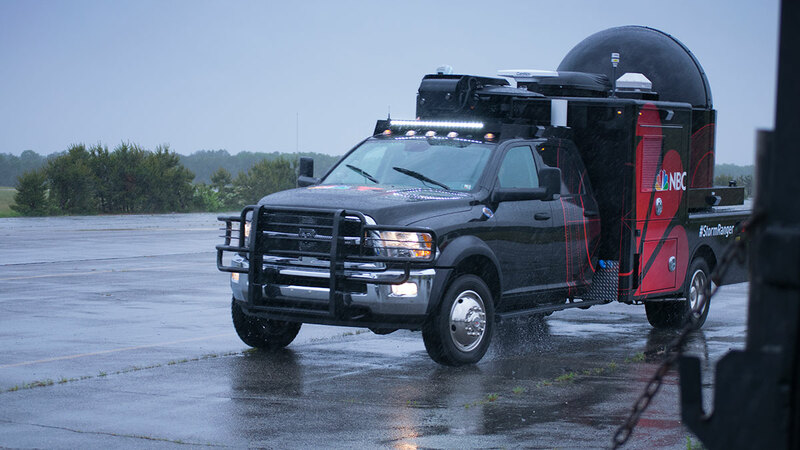 When there is a threat of a tornado, a StormRanger can detect much more than a fixed radar is capable of thanks to its state-of-the-art X-band dual-polarization Doppler radar system. The dual polarization allows meteorologists to detect what type of precipitation or debris is in the air - whether it is rain, hail or, in the case of tornadoes, debris created by a twister on the ground. "Being able to see that debris signature -- what we call a debris ball -- from a tornado allowed meteorologists and viewers to understand that there is a tornado on the ground causing damage and kicking up debris, and that is all seen on the StormRanger radar," Stedronsky said. During snowstorms, StormRanger can help provide a more accurate outlook on snowfall measurements by finding the rain/snow line - that area where rain can turn into ice or snow. Identifying those in-between areas can mean a world of difference when it comes to predicting whether an area will receive just an inch or two of snow as opposed to 12 inches or more. "That's very important to understand where that's at and where it's moving," Stedronsky said, "because that tells you what's going on in the atmosphere and if people need to prepare for liquid precipitation or snow." During fire season, StormRanger can be an asset to the public as well as fire departments and government leaders. The StormRanger’s X-band radar is able to detect much smaller particles than a larger fixed radar. "What this means is that you can see more of the smoke plumes even if there are smaller particles in the plumes compared with a larger, traditional weather service radar," Stedronsky said. “The information you're going to get on a local level is going to be unprecedented,” said Tom Jennings, president of Accelerated Media Technologies, which did the customization required to integrate the radar system into StormRanger 4. “You’re going to get such high-resolution weather telemetry out of these trucks that you’ll know exactly what the weather’s doing in your neighborhood, not just theoretically what it’s doing across your state or county." NBC Washington is committed to bringing you the most accurate weather information possible, and StormRanger 4 is just the latest investment we’re making into weather-related technologies to do just that. StormRanger 4 is here to serve your community, and ensure that Storm Team4 is your most-trusted source when severe storms strike. Get the latest from StormRanger 4 anywhere, anytime.